So here's the new year app for all those willing to celebrate while dancing or listening to songs. From billions of apps in the play store, there are some which stand apart from the usual apps. Not including games, we'll showcase the best apps which can surely be useful for the Android lovers or basically, just Android users. This one from Hytag Inc. boasts to include music from Soundcloud, Youtube and the user's music library making it The app with most number of songs. The developer says, it's an unique experience for everyone and I'm quite happy to say Yes, it's really amazing app which solves your issue of finding original music. And yiu know the best part, it is free. Autobeat Player bundles music from various channels into one single app. Listen to millions of songs: Easily search, browse and stream any song you're looking for! Generate playlists with tracks originating from different sources - either cloud services or your own local library. Further, connect and stream to your speakers using Chromecast or Chromecast Audio in order to turn any place into a concert hall. Don't settle with standard. Enjoy our extraordinary features today. ► Powerful meta search: Find songs from various locations within milliseconds using our unique meta search technology. Expand your existing library and listen to cloud music like YouTube or SoundCloud. 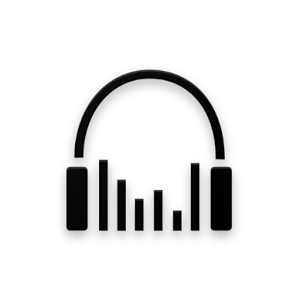 ► Cross channel playlists: Combine music from different channels into one playlist. ► Floating player: Browse in your phone while listening to YouTube tracks with a small floating player. ► Chromecast & Chromecast audio: Stream your music to your Hi-Fi system and enjoy an immersive sound experience. Turn your home or any other place into an audio entertainment studio and fill it with pure and vibrant sound by streaming your music to any speakers. ► Easy synchronization: Sync your music library on a PC or Mac with the Autobeat app using our Wi-Fi synchronization mechanism to automatically trigger changes, update information, play songs remotely and manage all your music. Take your playlists wherever you go - use access to your home archive as well as all tracks offered from cloud services or load any track directly onto your phone. ► Intuitive car integration: Autobeat adapts into car mode for handling music entertainment easily on the road. Voice control allows to keep eyes on the road and hands on the steering wheel. ► Audio improvements: Give your music an individual touch by using our powerful equalizer with lots of built-in presets and tuning options. ► Unique audio experience: Enjoy amazing high-fidelity sound with lossless codec support. ► Cover art downloader: Discover beautiful cover art with our metadata enrichment technology. I'm a regular user of Autobeat and will remain for sure.